After the completion of the original illustrations for the Motorstorm Apocalypse game, the client approached me again to produce several for extra downloadable content that players could purchase from the online store. 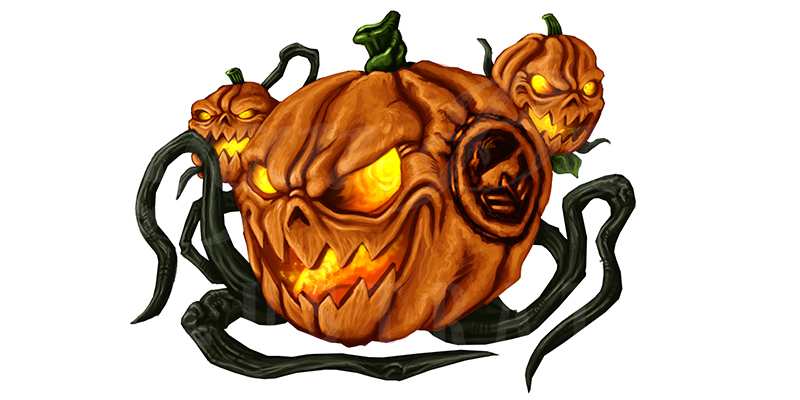 One themes for the downloadable content was Halloween and this created to be placed on side of the player’s racing vehicle. This was also used as an icon for the Playstation Store.